Day 2 of the conference is underway. Our first presentation is a highly technical one: “For space elevator rope – Production of exfoliated graphene and high surface charged-cellulose nanocrystals as stabilizer synthesized by lyophilized acidic hydrolysis“. Dr. Sherif Hindi of King Abdulaziz University, in Jeddah, Saudi Arabia, gave this presentation via Skype. It was a difficult presentation to understand; a combination of the subject being highly technical, the presentation given via Skype and that English is not Dr. Hindi’s first language (though his English was excellent). 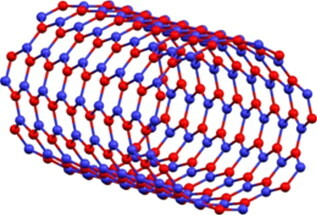 But if I got the gist of it, Dr. Hindi’s work consists of stabilizing/purifying Graphene (and thus making it stronger?) via cellulose nanocrystals produced from renewable materials. I will need to review his paper to learn more. The second presentation was by Dr. Bryan Laubscher, chief technologist of Odysseus Technologies, Inc. (full disclosure; I am an investor in OTI). He gave us an update on OTI’s continuing efforts to build longer, stronger nanotubes. He discussed the patents that OTI has made, both in terms of taking existing ‘forests’ of nanotubes, drawing off threads and strengthening those threads and also in growing stronger nanotubes themselves. His presentation elicited many questions and a whole lot of discussion. OTI’s problem now (as with a lot of startups, especially in this field) is funding. OTI is doing a lot with a little – a little more would certainly help. Dr. Laubscher made the observation yesterday that if you want to really advance the possibility of a space elevator, materials science is the place to be. I’ve pointed out the obvious many times on this blog that without the materials strong enough to make a viable space elevator tether, this is all just a pipe-dream. Long, strong tubes are the answer. The first day of the 2014 ISEC Space Elevator Conference was outstanding. The morning was “setting the stage”, introductory information and a fine Keynote speech from Science writer Leonard David of how the Space Elevator fits into the current space paradigm. The afternoon sessions were all technical ones and I think it’s safe to say all attendees learned a lot. It’s hard for me to pick a favorite, but I must comment on the final session of the day, on Weather; how it can be measured, how it can be forecast and what it means for a space elevator. The presenter, Winifred Crawford ended her presentation with the suggestion that we start recruiting a meteorologist (or two) and freely admitted that she was hooked on the concept of the Space Elevator. This entry was posted in News / Announcements on August 22, 2014 by Ted Semon. Winifred Crawford gave a talk about some specific aspects of weather, specifically wind and lightning and what is really known about them. Winifred talked about the amazing power of lightning and that there are two types; natural and triggered. She also pointed out that the areas now posited as ‘best’ locations for the Space Elevator (for example, on the equator – west of the Galapagos Islands) have much less lightning that other areas do, but that the number of lightning strikes even there is not zero – it must be planned for. She also talked about how lightning hurt (but did not destroy) the Apollo 12 mission and that lightning did destroy an Atlas Centaur launch. She also talked about rain and the problems it causes and noted that much less data has been captured about weather over ocean locations than it has for land locations and so satellite weather gathering will be key. Satellites can also capture sea surface temperature and current data, knowledge of both of which will almost certainly be needed to run a Space Elevator. Finally, she showed how all this data can be used to forecast the weather at a Space Elevator Base station, something which will be absolutely critical for a successful operation. 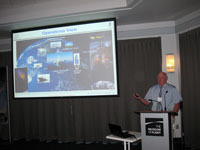 Peter Robinson gave a very interesting talk on how we might go about validating the design and simulating the operation of a Space Elevator. He pointed out some famous engineer failures from history and all of them, of course, failed to accurately simulate their operation. A common theme to many of these failures was that they were the first of their design – there was no other similar acting structure to use in validation and simulation. 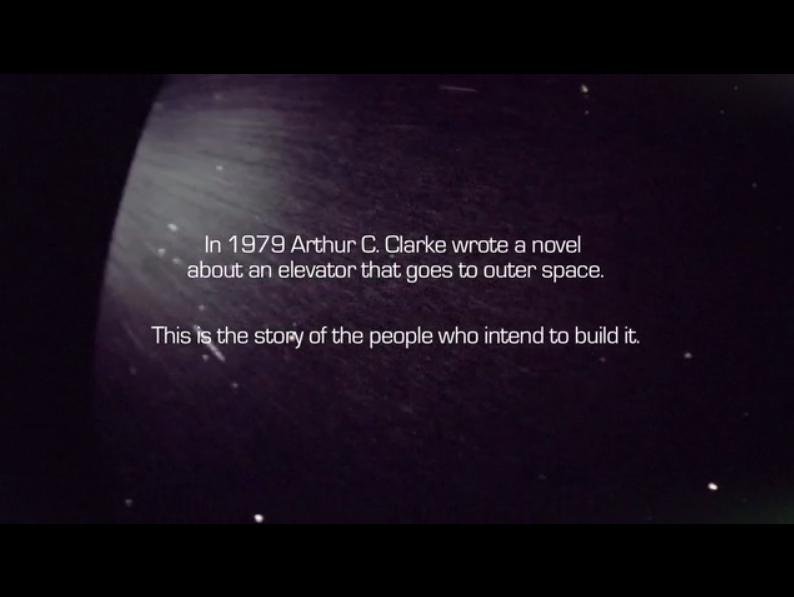 This will obviously be a problem with a Space Elevator too – the first one will be, well, the first one. 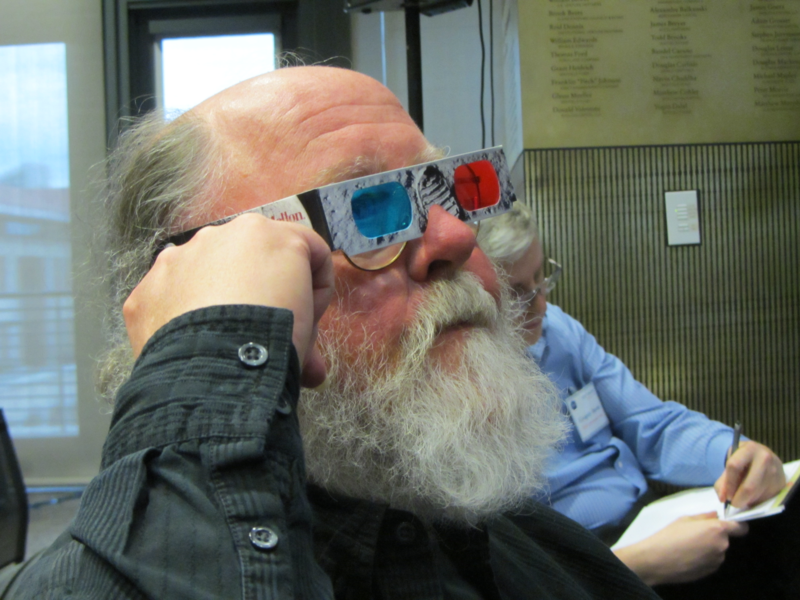 Peter proposed how simulation, validation and testing can be built up step by step. He also emphasized that MTBF for Climbers is very important – they will be very difficult, if not impossible, to service while on the tether. Peter also posited that the building of a Lunar elevator will be a pre-requisite to building an earth-based space elevator. 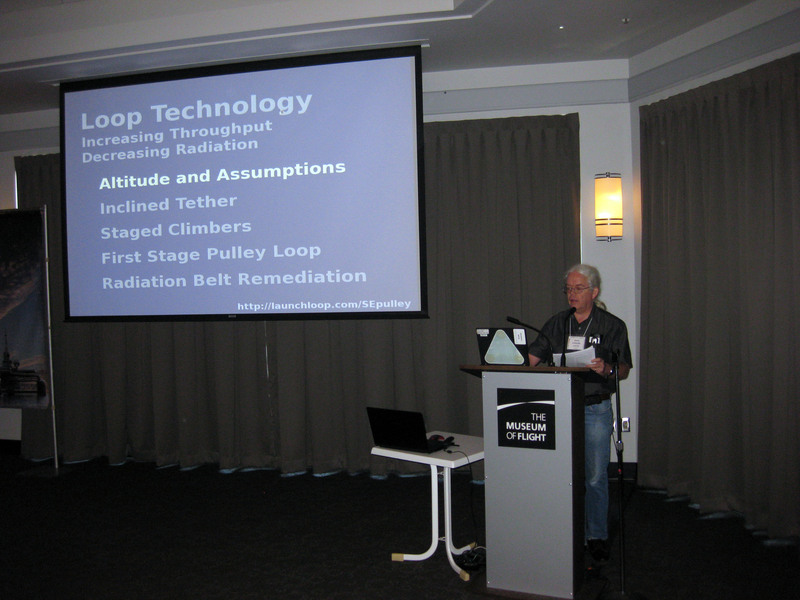 Keith Loftstrom, author of the Lofstrom Loop, gave a presentation on “Loop Technology – Increasing Throughput, Decreasing Radiation”, his take on how to improve (or even in some cases, to discover) assumptions being used in designing a space elevator. He touched on many subjects, but one was the location of the Ground Station. Conventional wisdom has that it should be located on the equator for efficiency reasons. Keith posited a Ground station 8 degrees south of the equator, claiming that a) this would allow the tether to be ’tilted’ allowing things to be oriented off of the tether, b) it keeps the tether out of the way of things in orbit around the equator and c) that if the tether breaks, the mass above the break will be flung out into space along the imaginary equator line, thus missing other tethers that may be constructed. 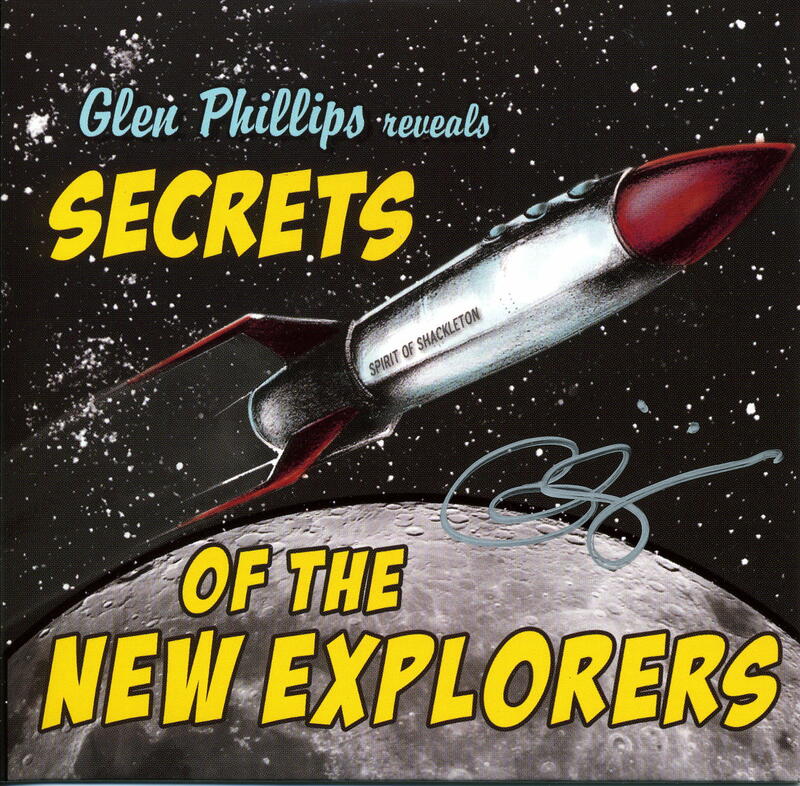 He also talked about how to use the Space Elevator to eliminate the Van Allen Belts. He discussed much more – this is just a brief. His talk, like all of the others, are being recorded and will be available some weeks after the conference. 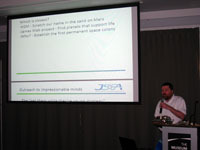 If you want to view this presentation now, visit http://www.launchloop.com/SEPulley. One of the ISEC reports, finished a year or so ago, is entitled “Space Elevator Concept of Operations“, a fairly in-depth look as to how the operational aspects of a Space Elevator system might actually work. This includes the land port, the ocean port, the tether itself, attaching / detaching the climber to the tether, etc., etc., etc. Skip Penny headed up this project and gave a talk on the report and current thinking on this topic. One of the presentations this morning was from Nick Martin and Mark Dodrill, reporting on progress with the ISEC History Committee (I wrote about the formation of this committee here). Lots of progress has been made, but this effort is still in the early stages. Nick and Mark are collecting both oral and written documentation about the development of the concept of the Space Elevator and all the work that has been done since. There IS a lot of information and I applaud this effort – things get forgotten if they don’t get written down. 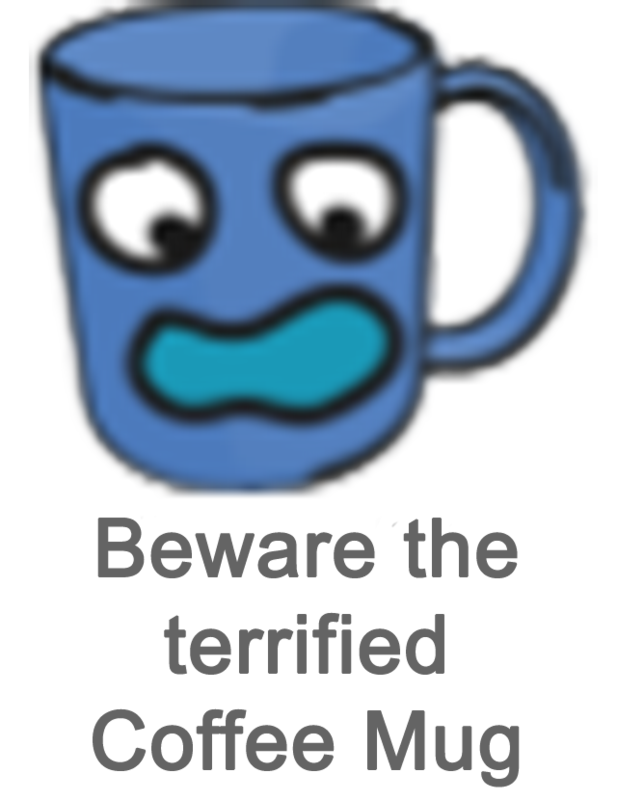 Click on the thumbnail for a full-size version. 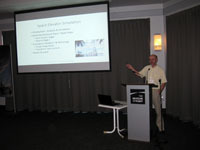 Noted Science author Leonard David is now giving the Keynote speech at the ISEC 2014 Space Elevator Conference, talking about how the Space Elevator fits into the “current space environment”. He had an interesting, and almost certainly true statement, early on in his talk. He said the space elevator, whenever it is built, will be “very different” from what we think it might be now. We need to keep an open mind. One of his final remarks struck me; “Be prepared to be stunned by the future“. Clicking on the thumbnail will display a full-size picture. All of these presentations are being recorded so, “God willing and the creek don’t rise”, they’ll be posted on the ISEC Vimeo account in the near future. I’ll notify you here when that happens. 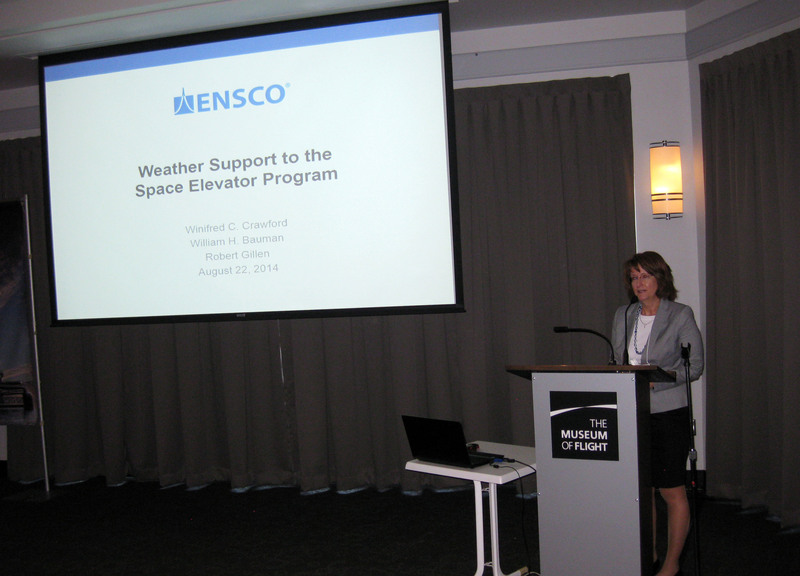 It’s Friday, August 22nd, 2014 and that means it’s the first day of the 2014 ISEC Space Elevator Conference! I’m here attending again, as a Director of ISEC and as an enthusiast and supporter and will be documenting the conference as we go along. I’m from Chicagoland and the conference is in Seattle. Now, if you’re a professional football fan (and especially if you’re from Chicago or Seattle) you know that the Bears are playing the Seahawks in an exhibition football game this evening. Now yes, this is preseason, but it’s preseason game number 3 and, if you follow football, you know that this is close to what you’re going to see during the real season as is possible in preseason. The starters will play at least a half and maybe more. I’m a Bears fan and, like all Bears fan, we’re really looking forward to this game – it will be a good test to see how the team might do this year. I’m bringing all this up because when I left the hotel this morning, riding down in the elevator with me was a young couple and the lady was wearing a Chicago Blackhawks TShirt. I commented to them that “I like your TShirt”. They smiled and asked me if I was from Chicago. When I said I was, they said they were too. I asked them if they were going to watch the Bears-Seahawks game tonight and they said they were actually going – they had tickets! I’m jealous. Science writer Leonard David is going to be attending the upcoming ISEC Space Elevator Conference (Aug 22-24) at Seattle’s Museum of Flight and is going to be giving the Keynote speech. All of us who are going to attend are looking forward to it. In his INSIDE OUTER SPACE column on his website, he lets all of his readers and followers know he will be attending. Thanks Leonard – looking forward to meeting you and listening to you! This entry was posted in ISEC, News / Announcements on August 20, 2014 by Ted Semon. Registration for the upcoming ISEC Space Elevator Conference will be closed in just a couple of days – register now or you’ll regret it later! 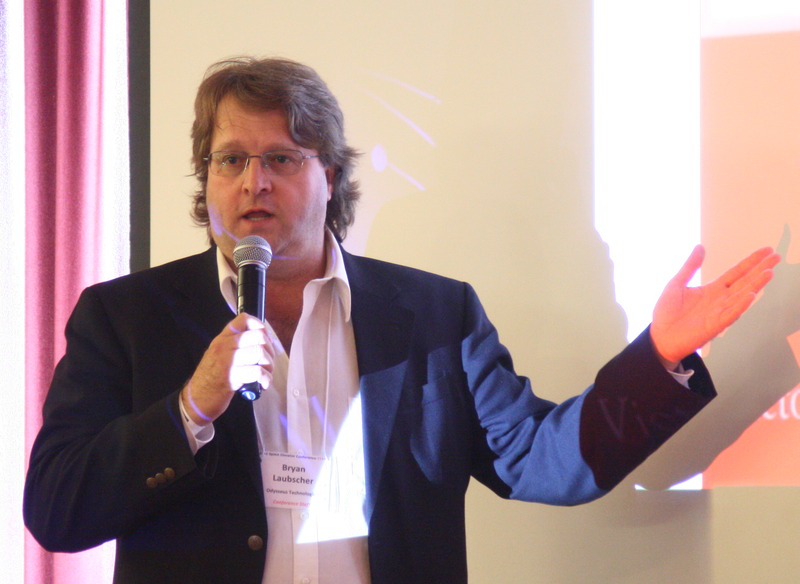 The conference is jam-packed with exciting presentations and workshops and don’t forget the Keynote presentation from noted author Leonard David. I’ll be attending the Conference, as I normally do, and will be blogging updates throughout the three-day event. This entry was posted in ISEC, News / Announcements on August 18, 2014 by Ted Semon. 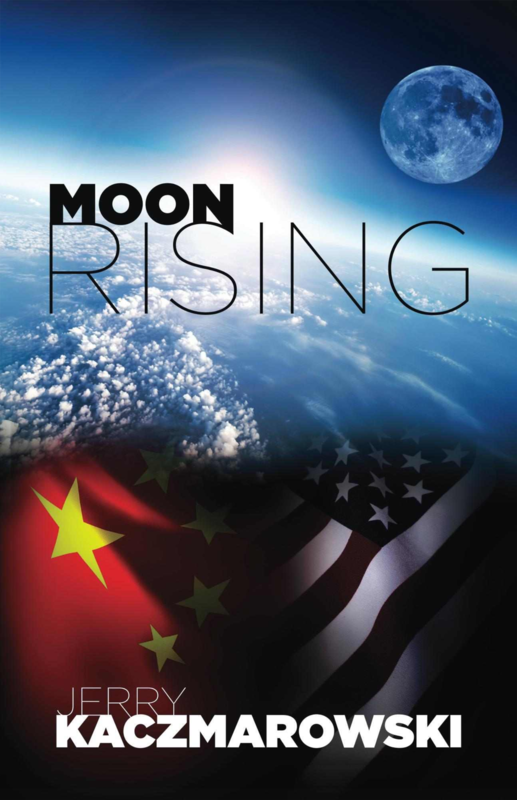 A few weeks ago, first-time author Jerry Kaczmorowski emailed me and asked if I would like to review his book Moon Rising. He told me that there was an American-built space elevator involved (as well as some other details I’ll let the reader explore) and, of course, that was enough to get me to say “Yes”. This is an excellent book, especially for a first-time author. The plot is rich and detailed and keeps the reader guessing. The characters are believable and the action is non-stop. Once I started reading it, I didn’t want to put it down and I believe that others who are fortunate enough to take a chance on this new author will feel the same. As the author of the Space Elevator Blog, I’m always intrigued by a new book with a Space Elevator as the theme or the backdrop. I’m also always worried because the authors of many of these types of books have obviously not done their homework on how a Space Elevator could be built or could work – they seem to have skipped all of their science and math classes in school. Thankfully this book is not like that. The author doesn’t delve deeply into Space Elevator architecture (it’s not the focus of the book), but what technical details he does write about are plausible. 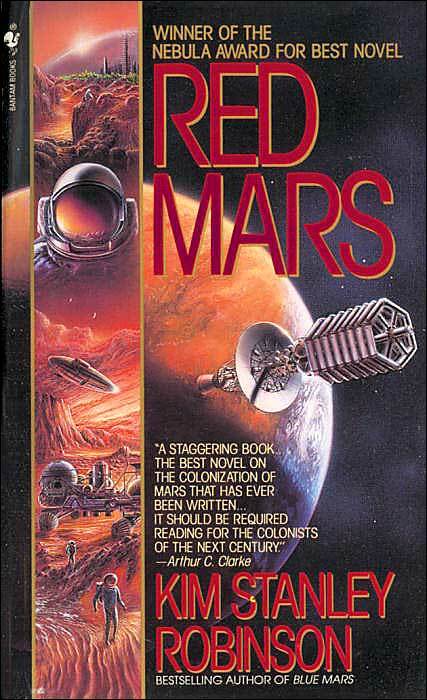 What this book also does is show WHY we would want to build a Space Elevator and then presents a scenario as to HOW a Space Elevator might actually come about. I don’t want to spoil the plot for new readers, but suffice it to say that, in this book, the world does NOT come together, sing “Kumbaya” and then build a Space Elevator for the advancement of all mankind. I do have a couple of nits; the characters seem a bit one-dimensional at times and the villains are the “usual suspects”. Nevertheless, adding everything together, I give this book 5 well-deserved stars and I look forward to this author’s next effort. 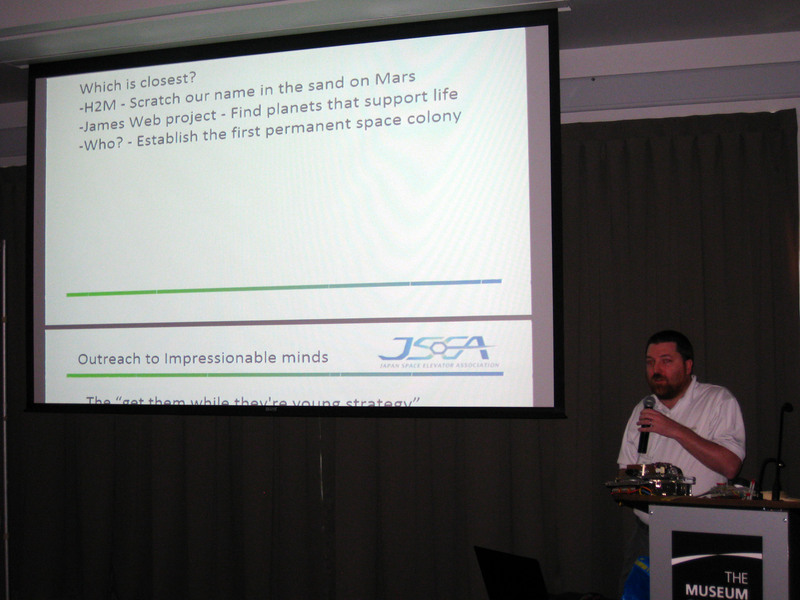 The author is going to be at the upcoming ISEC Space Elevator Conference (you ARE coming, yes?) and I look forward to meeting him. And, buy the book – you’ll enjoy reading it! This entry was posted in News / Announcements on July 28, 2014 by Ted Semon. The July, 2014 issue of the ISEC eNewsletter is hot off the presses. You can access it here. And, you can sign up for the free eNewsletter here if you want to be among the first “in the know”. And don’t forget, the 2014 ISEC Space Elevator Conference is almost here, but there’s still time to register. This entry was posted in News / Announcements on July 26, 2014 by Ted Semon. At this URL, there are two YouTube videos. The first shows a “space elevator” being constructed by a LEGO Mindstorm kit. Slow, clunky, but kind of cool. 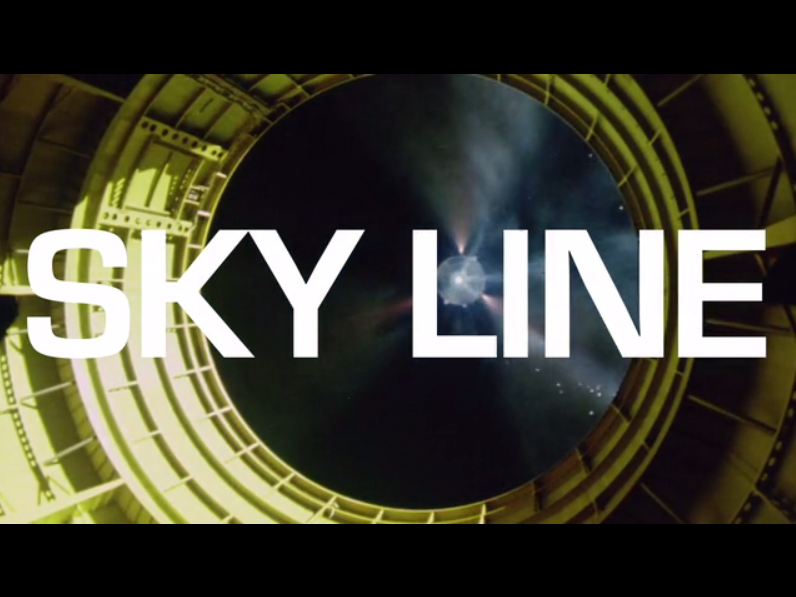 The second video discusses tall structures built by humans and ends in speculation about building a space elevator. Nice to see that the author/narrator (Vsauce) seems to have his scientific facts correct. Two cool moments in the 10+ minute-long video… The first is at about 3:12 and shows one of those very tall radio masts snapping in half and collapsing – always neat to see things breaking! And the second cool moment, at least for me, occurs around the 5:30 mark. Vsauce discusses how you can actually see two sunsets (or sunrises, if you’re so inclined) in the same day by physically manipulating your body at the moment of sunset (or sunrise). To emphasize the point of your height above ground being a factor as to when you see a sunset, Vsauce mentions that a ruling by the Dubai Islamic Affairs Department actually had to be made for Muslim residents of the Burj Khalifa (the world’s tallest building) in Dubai as to when the sun set. This is important for the Islamic holy month of Ramadan – you cannot break your fast until “official” sundown and, for residents of the Burj Khalifa, sundown is declared at one ‘official’ time for residents from floors 1-79 and at another ‘official’ (and later) time for residents of floors 80 and up. As an aside, the Muslim calendar is 12 months long, as is the Gregorian one, but it is strictly governed by lunar cycles. This means each month is about 29.5 days long with an Islamic year being about 354 days long. So, the months (and the holidays) gradually cycle ‘backward’ through the Gregorian calendar. 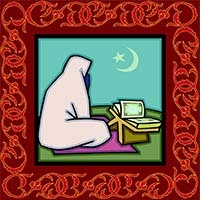 When I first arrived in Saudi Arabia, in 1979, the Islamic New Year (Eid Al-Adha) was in late November. In the 35 years since (jeez, has it really been that long? ), the New Year has gradually moved backward through the Gregorian calendar (for example, in 1995, the Islamic New Year was at the end of May). Fun facts with dates! Anyway, both videos are, IMHO, fun to watch. This entry was posted in Interviews / Presentations, News / Announcements on July 15, 2014 by Ted Semon. Sometimes the simplest ideas are the best. A couple of weeks ago, the Technion Institute in Israel held a Space Elevator competition (I’ve previously posted about this competition here and here). The winner used the inner workings of an electric screwdriver to power his Climber. Congratulations to Technion and to the winners! This entry was posted in News / Announcements, Space Elevator Competitions on July 1, 2014 by Ted Semon. The latest ISEC eNewsletter is hot off the presses and can be found here. It’s a shorter eNewsletter than usual as ISEC efforts are now focused on the upcoming Space Elevator Conference (less than two months away – you ARE coming, aren’t you?). And, about the upcoming conference, there have been a record number of papers/presentations submitted so I think it’s safe to say that interest is running very high. This is also a good time to remind everyone that the Early Bird Registration prices for the conference end on Monday, June 30th, so don’t delay. This entry was posted in News / Announcements on June 28, 2014 by Ted Semon. In my previous post, I had written about a new Space Elevator competition in Israel and that the originator of the modern-day concept of the space elevator, Russian Engineer Yuri Artsutanov, would be there as a judge. While I can’t find any results posted as of yet, I did hear from Eugene Schlusser, Yuri’s friend (and unofficial translator), who accompanied Yuri to the 2010 ISEC Space Elevator conference. Eugene lets me know that Yuri did indeed make it to the competition and did act as a judge. And, better yet, there was coverage of this in Russia and a YouTube video has been made of it (hint: it helps if you speak Russian and/or Hebrew :). Yuri appears at two different times in the video; around the 53 second mark and again at the 1:05 mark. I’m still hopeful of getting some pictures from the competition which I will, of course, post here. This competition reminds me so much of the early days of the NASA/Spaceward Space Elevator Games; Climbers climbing a racetrack held aloft by a crane, students frantically working on their equipment, etc. It brings back some great memories. This entry was posted in News / Announcements on June 27, 2014 by Ted Semon. This is cool. The father of the modern-day concept of the space elevator (and a guest at the 2010 ISEC Space Elevator Conference) Yuri Artsutanov, will be one of the judges at a Space Elevator contest being held next Wednesday, June 18th, in Israel. More details can be found here and here and there is also a posting on the Technion Facebook page. The official posting from the Technion website can be found here. I’ve reached out to both Yuri and the Technion institute for more details. This entry was posted in News / Announcements on June 12, 2014 by Ted Semon. Click here to see how to listen in to the show and ask Dr. Laubscher a question. This entry was posted in Interviews / Presentations, News / Announcements on June 7, 2014 by Ted Semon. The April, 2014 ISEC eNewsletter is hot off the presses and has been sent to all of ISEC’s subscribers. Lots of good stuff in this issue, mostly about the upcoming ISEC Space Elevator Conference. This includes a reminder Call for Papers for the Conference, notice that Registration is now OPEN and, a special announcement about the Keynote Speaker. ISEC is very pleased to announce that long-time science writer Leonard David will be giving the Keynote speech at the conference. I’ve read (and linked to his writings) for many years now and look forward to a) hearing what he has to say and b) finally being able to meet him. 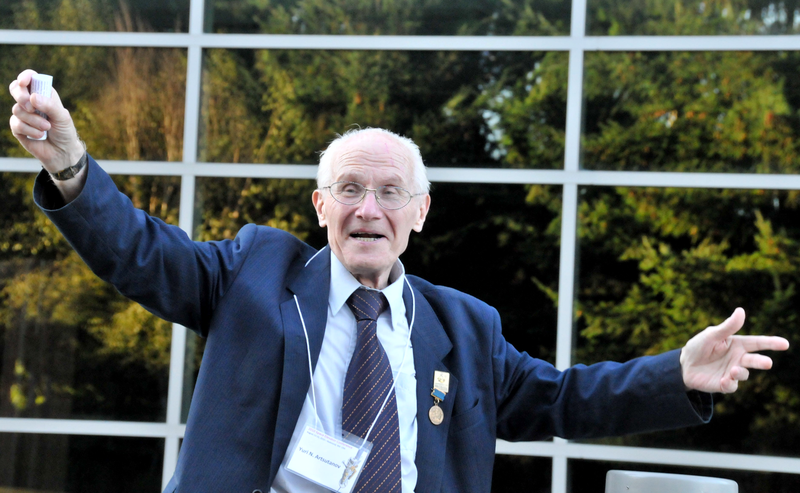 His list of accomplishments, writings and awards is too long to list here – check out the April eNewsletter for a partial list. So, check out the current issue now. And, you can always sign up to receive the eNewsletter so that you’ll among the first with the latest news. I hope to meet many of you at the conference! This entry was posted in ISEC, News / Announcements on April 29, 2014 by Ted Semon. Many readers will remember the Space Elevator Games, the 5 year partnership between NASA and The Spaceward Foundation, to further research and development in the fields of power-beaming and strong tethers. The Power-Beaming games were a spectacular success, resulting in several years of exciting and photogenic competition and culminating in the winning of $900,000 by the good folks at LaserMotive. The Strong Tether challenge was NOT a success however. Even the promise of $2 Million in prize money provided by NASA failed to produce any competitors with entries approaching the strength of conventional materials, let alone surpassing them. Those of us like myself who were involved in those games (and then tried, unsuccessfully to get them restarted under the auspices of ISEC) spent a lot of time theorizing and supposing why this was so. I think at the end of the day, it was just a much tougher nut than anyone had initially thought. An article which just popped up in my FeedDemon reader showed that another approach was taken by the sporting goods company Jas. D. Easton, Inc. 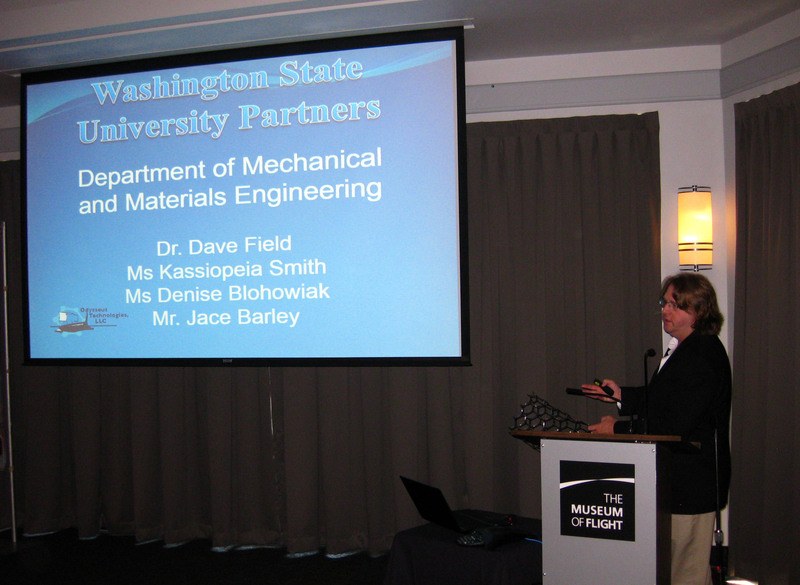 In 2009, the same year that LaserMotive won their prize, Jas. D. Easton awarded $2 Million (there’s that number again) to the UCLA Henry Samueli School of Engineering and Applied Science to fund research on advanced carbon materials for sports equipment and aerospace applications. One of my arguments to support The Space Elevator Games Strong Tether Competition to skeptics was that even if you don’t think a Space Elevator is feasible or a good idea, there certainly would be a myriad of applications for a super-strong material such as carbon nanotubes promise to be – it would be a true game-changer in every sense of the word. This entry was posted in Materials, News / Announcements on April 27, 2014 by Ted Semon. An article that has been making the rounds recently seems to confirm that GoogleX, once upon a time, was interested in building a Space Elevator. This story has been reported in several outlets but they all seem to come from this story at Fast Company. Yes, indeedy, that is the stumbling block. If someone is truly interested in getting closer to the day when a Space Elevator could be built, I would recommend that they invest in Materials Science research; carbon nanotubes, boron-nitride nanotubes, carbyne, it doesn’t matter which one, just as long as the goal is stronger materials. Many months ago, I contacted Astro Teller, the head of GoogleX, to see if they would be interested in sponsoring a rebirth of the Strong Tether Competition. I thought their (at the time) rumored interest in the Space Elevator coupled with their deep pockets would be a natural fit. Sadly they were not interested. When this article surfaced, I contacted Mr. Teller again and he confirmed that GoogleX is not currently working on this project, sigh. This entry was posted in News / Announcements on April 24, 2014 by Ted Semon. 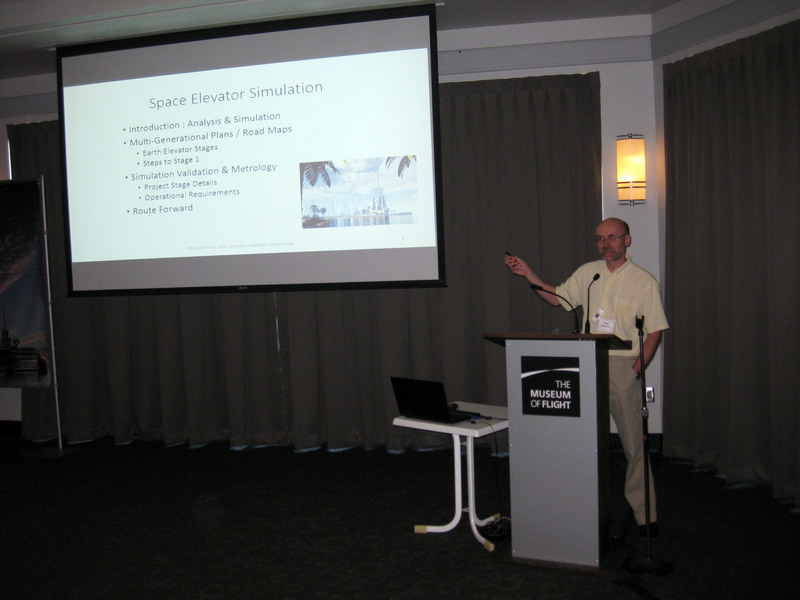 Registration is now open for the 2014 Space Elevator Conference! 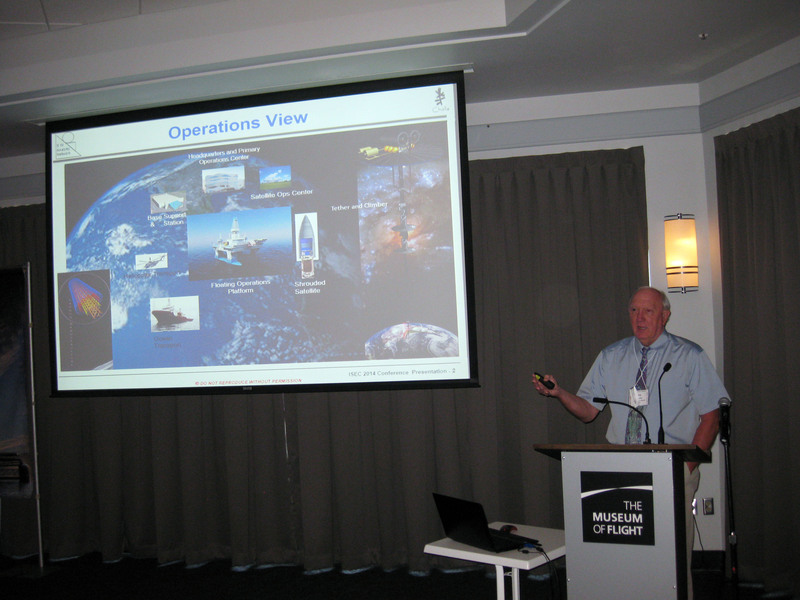 Registration is now OPEN for the ISEC 2014 Space Elevator Conference, to be held from August 22nd through the 24th at Seattle’s Museum of Flight. This is the same venue that ISEC has used for the past several conferences and it is absolutely perfect fit for this conference. 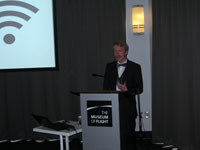 A full schedule is being planned, with many presentations, several workshops, a Family Day Science Fest and much more. And, a special announcement as to the Keynote speaker for this conference will be shared soon – watch this space! Early Bird prices are now available so don’t delay. This entry was posted in ISEC, News / Announcements on April 14, 2014 by Ted Semon. The Space Elevator Blog celebrates 8 years! 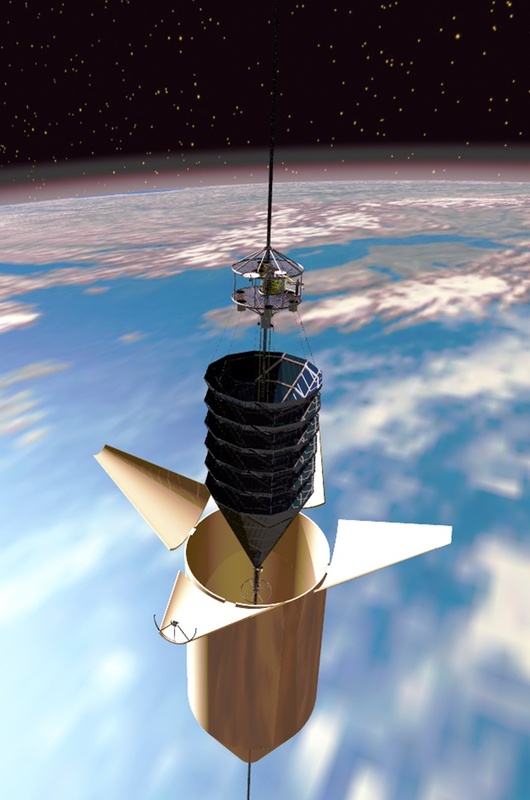 The Space Elevator Games – this joint venture between NASA and the Spaceward Foundation created lots of interest in the power-beaming and strong-tether technologies over its many year run. 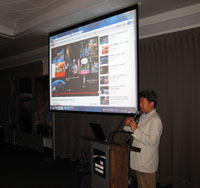 Games were held in California (Mountain View and Mojave), New Mexico and Utah and produced a winner (Lasermotive) that took home $900,000. It’s unfortunate that NASA didn’t renew the contract, but they have other ‘fish to fry’ these days. However, it’s good to know that there are still organizations and groups trying to push the boundary of power-beaming. For example, the Kansas City Space Pirates recently set an unofficial record for beam-powered flight. 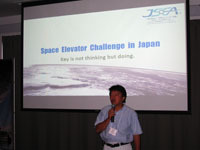 The birth of the Japan Space Elevator Association (JSEA). This very active group holds a conference every year and hosts multiple competitions too. They have an active website and lots of members and are group of very good, committed people. The Space Elevator Conferences. The American ones were originally hosted by the SESI organization and have now, as noted in a previous item, been taken over by ISEC. During the past few conferences, we’ve had luminaries such as Yuri Artsutanov and Jerome Pearson attend and give Keynote speeches and this year’s conference will be very exciting too, I’m sure. JSEA also hosts conferences in Japan each year and EuroSpaceward (apparently not active anymore, unfortunately) has hosted a few conferences in Europe where Space Elevator Technology and Research has played a central role. The International Academy of Astronautics released a report about Space Elevators (An Assessment of the Technological Feasibility and the Way Forward), the first comprehensive study of Space Elevators since Brad Edwards and Eric Westling’s seminal publication in 2002. This report has been just recently published and has received a lot of Press coverage. We’ve seen the growth and demise and then subsequent rebirth of LiftPort. They are now concentrating their efforts on building a Lunar space elevator. 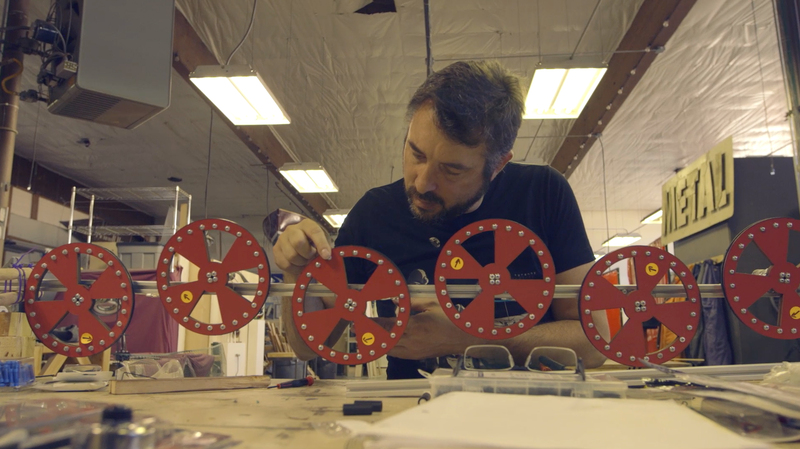 They were able to host a very successful Kickstarter campaign and raised a lot of money for their efforts. While the Space Elevator is a familiar concept in Japan (Gundam rocks! ), publicity about this enterprise is growing in the western world too. 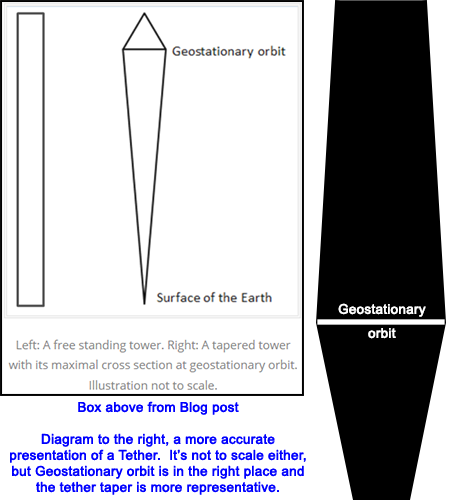 There have been articles published about the Space Elevator in such world-wide publications as the National Geographic Magazine (both online and in print) and a Google Search on “Space Elevator” will now turn up hundreds and hundreds of hits of articles about this concept. Also, several fictional and non-fictional books about the Space Elevator (or with the Space Elevator as a backdrop) have been published. The idea of a Space Elevator is no longer a strange concept and I’m hopeful that this blog has had some small part to play in that. There have been many other developments in the Space Elevator field over this past eight years, too numerous to list here. I’ve highlighted major ones (IMHO) in my previous anniversary blogs: Year 1, Year 2, Year 3, Year 4, Year 5 and Year 6. No posting, sadly, for Year 7. While all of this is good and exciting, we continue to wait for science & engineering to come up with the material strong enough to construct an earth-based Space Elevator tether. Research in the Carbon Nanotube tensile-strength field has not made the progress that many of us had hoped for by now, but on the grand scale of things, we’re still in the ‘early innings’ of this project. And research is now proceeding with a second material theoretically strong enough to build an earth-based Space Elevator tether from, Boron Nitride nanotubes. Options are good things! My faithful readers over the past several years have noted, I’m sure, this blog’s change in focus from “all-things Space Elevator” to “all-things ISEC”. This wasn’t deliberate, but was rather a side-effect of my being president of that organization for four years. Now that I’m no longer president (but I’m still very much involved as a Director and being in charge of publicity), the focus of this blog is returning to “all-things Space Elevator”. So, thank you for reading and onward and upward! This entry was posted in News / Announcements on April 1, 2014 by Ted Semon. The latest issue of the ISEC eNewsletter has just been released. Lots of good information in this issue including how to register for the upcoming 2014 Space Elevator Conference (you ARE going, aren’t you? 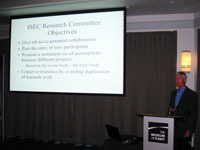 ), updates on the ISEC Research Committee, ISEC being a supporter of the upcoming NSS/ISDC conference and more. And remember, you can join our eNewsletter list so you’ll always be one of the first to get updates from ISEC. This entry was posted in ISEC, News / Announcements on March 31, 2014 by Ted Semon. The official announcement for the 2014 Space Elevator Conference and its associated Call for Papers has been released. You can view the announcement here. 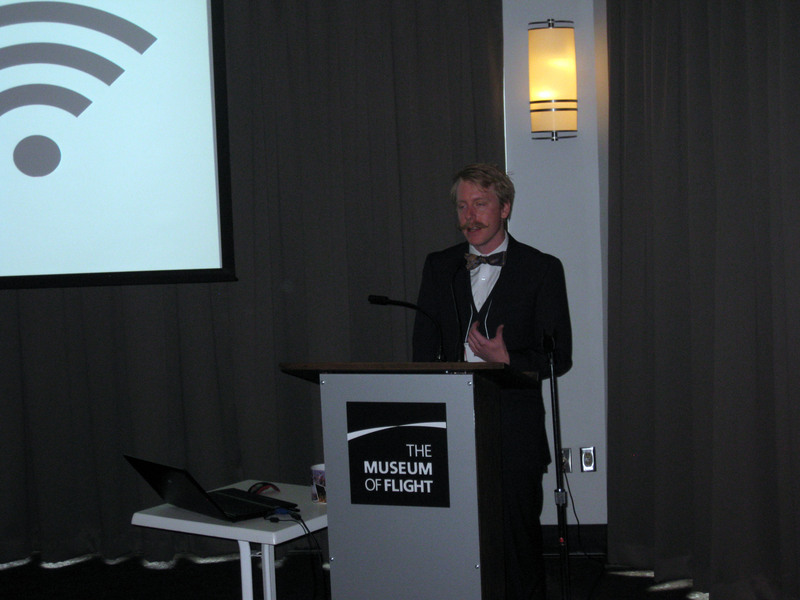 The Conference will be held at the same venue as the past few conferences have been, Seattle’s Museum of Flight. This venue has proven to be a wonderful facility for this event and we are looking forward to having it there once again. And once again, Microsoft is going to be a Key Sponsor of the Conference – Thank you Microsoft! The Conference will be held from August 22 through August 24th. Start making your plans now – be there or be square! This entry was posted in ISEC, News / Announcements on March 8, 2014 by Ted Semon. The February, 2014 ISEC eNewsletter is hot off the presses and can be accessed here. Included this month are Dr. Peter Swan’s “The President’s Corner”, an updated Call for Papers for the 2014 edition of CLIMB (The Space Elevator Journal), and a summary of recent space elevator-related articles in the news. This entry was posted in ISEC, News / Announcements on March 2, 2014 by Ted Semon. At the www.space.com website, Leonard David has written a fine article about the Space Elevator and the recent IAA Study concerning Space Elevators. It’s well worth the read. This entry was posted in News / Announcements on February 20, 2014 by Ted Semon. For the month of February only, ISEC has launched a Membership drive which features reduced rates for Professional and Student Level members! This applies to renewals and new members. Professional level membership can be purchased/renewed for only $58 (normally $68) while Student level membership can be purchased/renewed for only $20 (normally $25). Full membership benefits (CLIMB and the ISEC 2014 Poster) apply, so don’t delay. Visit the ISEC Join/Renew webpage now and take advantage of this offer! This entry was posted in ISEC, News / Announcements on February 11, 2014 by Ted Semon.